Preston Barracks is about to be transformed. It is one of three sites which is being regenerated in a partnership between U+I Group Plc, the University of Brighton and Brighton & Hove City Council. The ambition of the regeneration masterplan is to create a thriving addition to the Lewes Road which will contribute to employment, enterprise and entrepreneurialism; a place that people want to live, learn, work and be proud to be a part of. 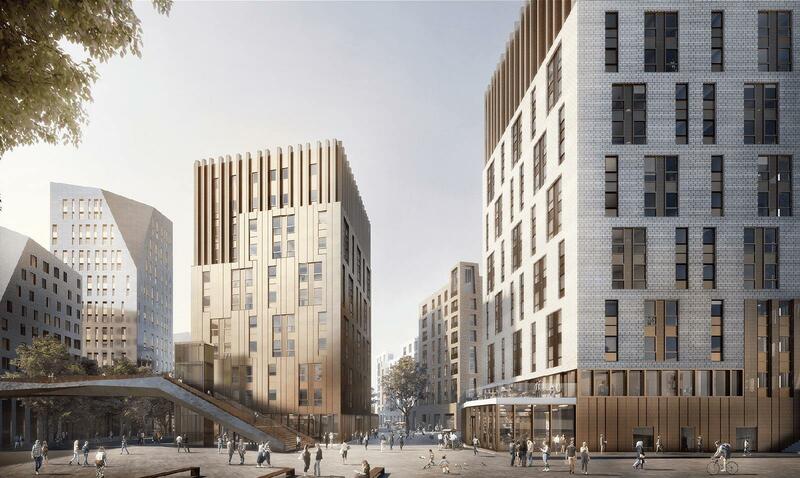 CGI of the new student and residential buildings, bridge crossing and new street. 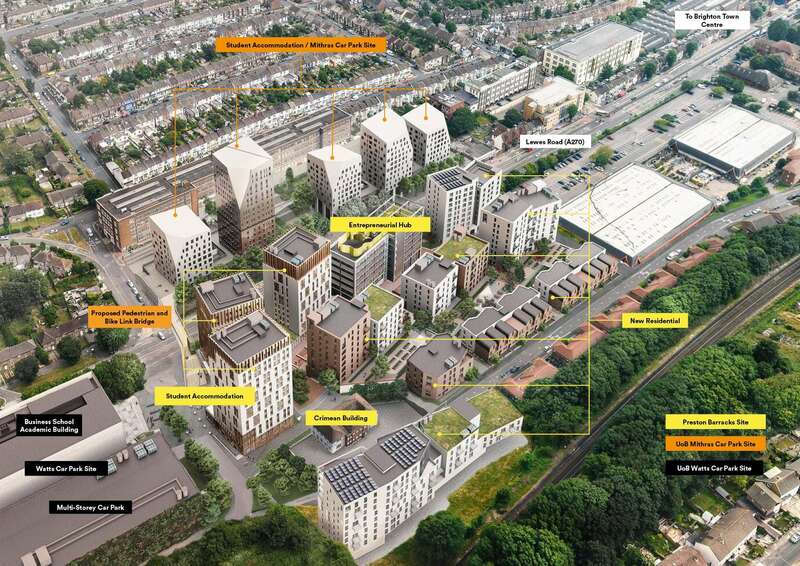 The regeneration is providing much needed new homes, an entrepreneurial hub for Brighton start-up businesses, new academic buildings, managed student accommodation, shops, cafes and car parking which have been designed around a new public green space. New routes will be created to provide better connectivity for neighbouring residential streets, such as Saunders Park View to the Lewes Road and Moulsecoomb Railway Station. This sustainable development will create over 1,000 new jobs locally and contribute over half billion pounds to the city’s economy over the next 10 years. Demolition works started on site in October 2017 and we are now well underway with the construction of this development. For more information on the University of Brighton’s redevelopment, please visit The Big Build website.